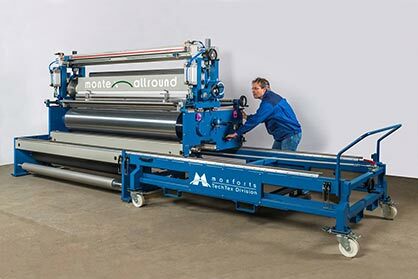 In a major development for the coating of technical textiles and nonwovens, Monforts is now offering the coating roller for its texCoat and Allround coating units as an optional carbon fibre version, in order to meet even the highest level of coating accuracy that is being demanded by the most exacting customers today. A further benefit is that the rollers are much easier to clean, he adds. 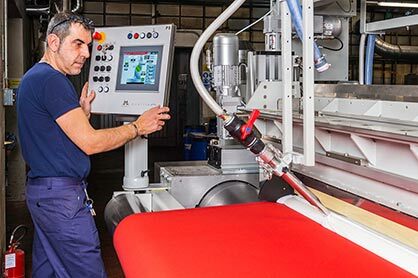 Machine layouts for the technical textiles and nonwovens industries now account for more than 25% of Monforts’ turnover and notable recent successes have included the supply of a complete six-metre-wide coating unit to a leading manufacturer of substrates for digitally-printed soft signage in Germany. Other systems are in place for applications ranging from carbon fabrics for high-performance composites and filter media which must perform in extreme temperatures, to flame retardant barrier fabrics, heavy duty membranes for the collection and storage of methane in biogas plants, and materials equipped with sensors and electrical conductors employed as base liners in DSC solar cells, to name just a few. 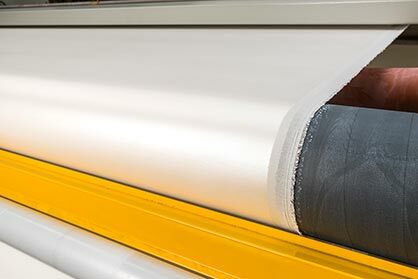 All of these materials, however, have one thing in common – they all require expert coating and finishing for maximum efficiency and the technology to allow for ultimate flexibility and the ability to switch quickly from one fabric formula to the next, without compromising on the economical use of energy or raw materials.